Seat(s): You’ll get priority boarding when you book a WestJet 737-700 exit row seat. Doing so gave me the opportunity to test out a few different seats before others got on. 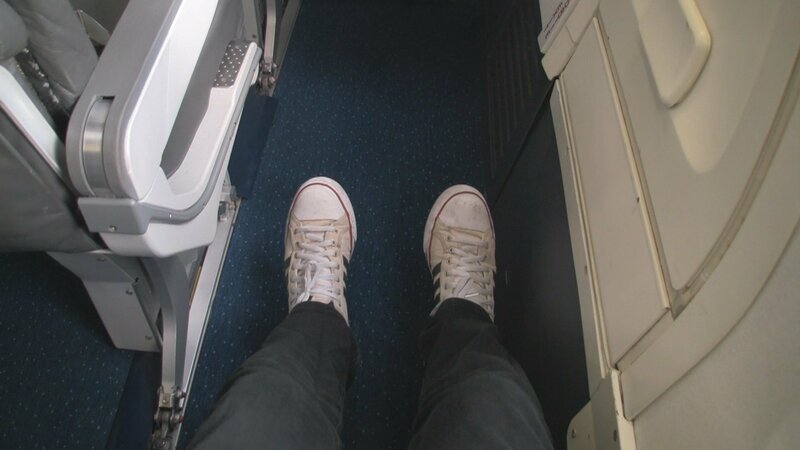 I found seat 12F to be the best for legroom (plane-wide) as there’s no seat in front of you. Rows 11 & 12, seats D & E have no legroom advantage but benefit from limited or no-recline seats in front of them. The A, B and C seats in row 12 are much easier to explain. All 3 seats have good legroom but nothing extraordinary for an exit row. It’s likely you’ll get full leg extension if you’re not placing a bag underneath the seat in front of you. Tray tables are in the seat back and extend to reach your seat so that you don’t have to reach over all that extra room. Width is standard and doesn’t suffer from a armrest housed tray table like you’d typically find in a bulkhead seat. These leather seats are well cushioned too and have adjustable headrests good for dozing off in-flight. Tech/Connectivity: You’ll have to rely on your gadget’s own battery power, watch the free satellite TV (over Canada only) or purchase a movie on your personal seatback TV if you’re craving electronic entertainment. 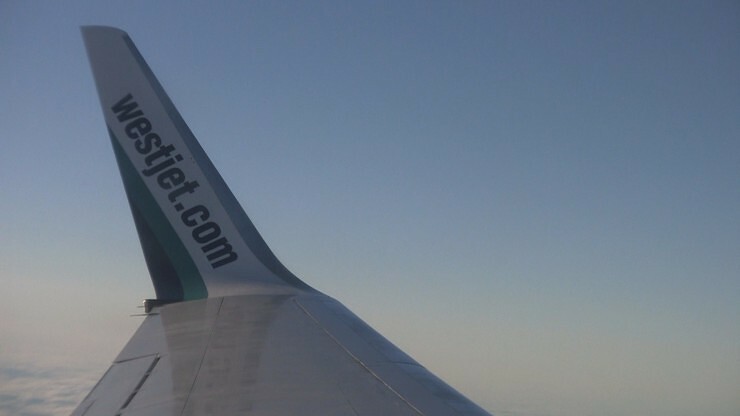 No power outlets or wi-fi are offered aboard WestJet flights. 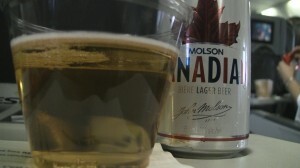 Food: WestJet offers food for purchase on most flights over 40 minutes. Longer flights offer sandwiches, premium snacks and beverages at a price. See the current offerings by using the link at the airlines “Buy-on-board” information page. Service: You’re guaranteed an extra visit from the flight attendant when they come to explain how to operate the exit door. If you make a good first impression, you might get an extra smile or the whole can of soda when they come by the next time. Our flight attendants appeared to be in a very good mood and most (if not all) aboard were served with smiles. How to get em’: Exit row and and other extra-legroom seats are available for purchase. WestJet has a pretty straighforward fee structure for these seats. Those purchacing “Flex” fares can purchase them for a discount at booking. “Econo” & “Flex” fares can both choose these seats at check-in for slightly higher price. “Plus” fares can choose these seats at no extra cost at any time, if available.